Once again Americans are facing questions about the definition of a Natural Born Citizen (NBC). This is the simple and indisputable definition: Two citizens who have a child, naturally create a new citizen. This is a Natural Born Citizen. There is absolutely no expert either legal or historical who will argue to the contrary. They may argue to include additional citizens, but this is the core of the definition. Two people who have a child in a location, have a citizen who is native to that land. This is a Native Born Citizen. Thus, terms like "Native American" which imply a location and not an allegiance to a country. A person can be both Natural Born and Native Born, or in the United States we also have Naturalized Citizens who are foreign born but have legally become citizens. Why is this an important issue? The United States is a Democratic Republic. Republics are representative governments, government through representatives of the people. Because a democratic republic represents the people, it has some inherent vulnerabilities to foreign and opposing powers. The most pressing vulnerability is the election to power of a representative of a foreign power or ideology. Foreign governments can use their money, power and influence to overwhelm the electoral process because individual citizens of a republic cannot compete with an entire determined nation when running for office. Once elected, a foreign puppet would then pursue national or ideological interests to the detriment of the interests of the people of the republic. The puppet prince's declarations end the representative republic from within by undermining the trust, authority and legitimacy of the republic. The founders of the United States were educated men who understood this threat and built several layers of protection against this existential threat. 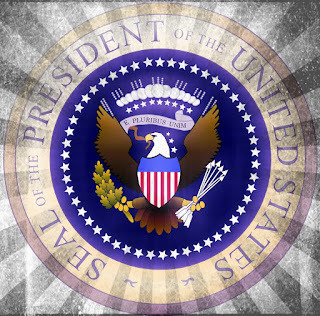 Natural Born Citizen eligibility requirement to prevent puppet princes from running for president. Political parties who vet and certify candidates prior to the general election. The Electoral College to mitigate the risk that the masses choose a president who is an existential threat to the republic by adding a layer of representatives who cast the final ballot for the people. 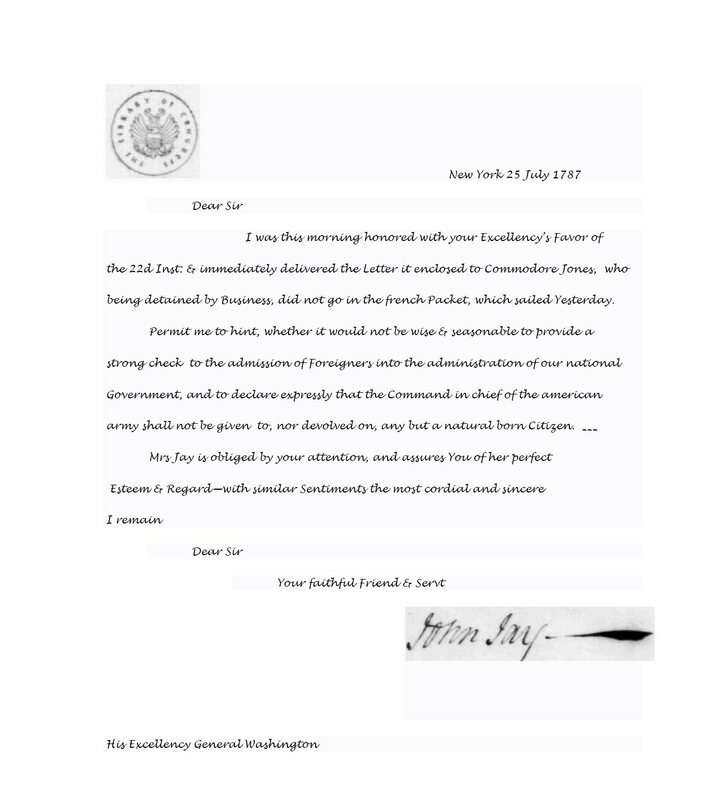 On July 25, 1787, John Jay, who later became the Chief Justice of the United States under George Washington, wrote a letter to George Washington regarding the first draft of Article II of The Constitution. In the letter he specifically asks that only Natural Born citizens be eligible for the presidency in order to subvert foreign interests. Two days after reading the request, the requirement was adopted without discussion or debate. 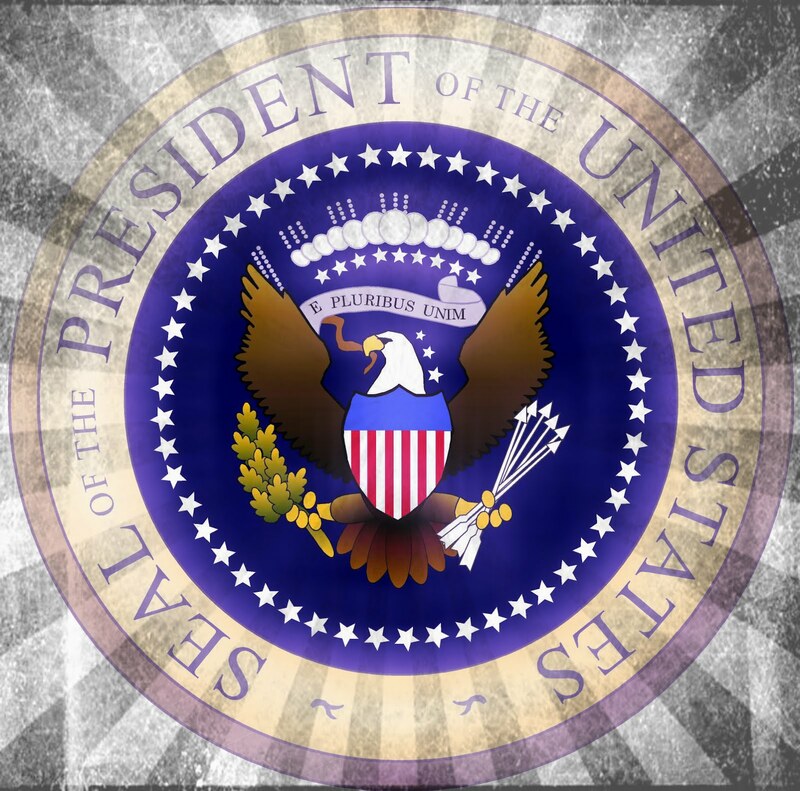 "No Person except a natural born Citizen, or a Citizen of the United States, at the time of the Adoption of this Constitution, shall be eligible to the Office of President; neither shall any person be eligible to that Office who shall not have attained to the Age of thirty five Years, and been fourteen Years a Resident within the United States." How do we know what the founders meant by Natural Born Citizen? In 1787, the biggest foe of the United States was the British Empire. However, all the kings of Europe were embroiled in wars for power and money. Any of these kings might scheme against America and take an American wife or have a prince born on American soil with the goal of establishing a puppet ruler in the newly formed American government. The resource rich Americas would then be ruled as under British rule, through a "Governor," but under the illusion of sovereignty. A horse and a horse beget a horse. A donkey and a donkey beget a donkey. A horse and a donkey beget neither a horse nor a donkey, but a mule. Having one citizen parent does not mean allegiance is necessarily to our country, our culture or our republic. Having two citizen parents does not necessitate loyalty either, but at least We The People have every chance to assimilate Natural Born Citizens into our culture. If we fail to assimilate our own core citizens into our culture, the republic will not endure in any event. This is the most alarming aspect of the rank ignorance in America today. Legal scholars, the education system and the press are so unenlightened that this simple historical fact is deemed political incorrect an assigned the derogatory term "Birther." As stated above, Americans face an existential threat to our form of government and the rights it is meant to ensure. However, this is about more than America, it is about the future of human freedom and human rights. There are only 2 political ideas in the world of men; men rule men or men rule themselves. If men rule other men, no amount of technology or "progress" will ever lead to peace. War for conquest, power and to struggle for freedom will forever plaque our existence until we destroy ourselves. If men are to rule themselves, we must protect ourselves from those of us who are obsessed with the desire to rule us, deceive us, mislead us, and undermine our ideas and culture. Humanity needs America as a strong representation of men ruling themselves. This is a good post (albeit with a few typos). As you correctly, though indirectly, point out, being a natural born citizen is not about *where* a person is born. At the same time, while this is true -- “This is the simple and indisputable definition: Two citizens who have a child, naturally create a new citizen. This is a Natural Born Citizen” – it’s actually the case that it is true because natural born citizenship is inherited from the father; this is what the Founders understood and meant by the term. These days, as people want to pretend that sexual egalitarianism is the truth about nature and about society – if one can even get them merely to admit that the above is what the Founders understood and meant by the term – people will tend to assert that natural born citizenship can be inherited from either parent … never mind that no law (*) has ever been enacted to so change the meaning of the term. BUT – and what such people will then *refuse* to acknowledge – if that were the case, then a person so born of citizens of two different countries would be a “natural born citizen” of two different sovereignties, which is a logical impossibility: or, as you put it, a “mule”. (*) I question whether Congress even has the power to make such a change to the meaning of the term, absent a Constitutional amendment. I write fast because of time constraints, so typos happen. Sorry. 2nd, could you point to some supporting evidence for your assertion that fatherhood is the basis of citizenship. Consider the natural born citizenship controversy (*) that attempted to disqualify Chester Arthur from the vice-presidency (and the presidency). Because people in 1880 weren't as intentionally mis-educated as today, the controversy centered on whether Arthur's father was a naturalized US citizen at the time of Chester's birth -- Chester Arthus was born on US soil to a woman whose family were long-standing US citizens (i.e. she was a natural born US citizen) and a man who was originally a subject of the British Crown, becoming a naturalized US citizen as some point. (*) you can look it up -- while most pages probably won't directly lie about the issue(s) involved, many will slant how they report it, for the very simple reason that the situation of Obama almost exactly mirrors Arthur's, the biggest difference being that unlike with Arthur, Obama's father never was a US citizen. Prior to the adoption of this doctrine [Partus sequitur ventrem] in the English colonies in 1662, beginning in Virginia, English common law had held that among English subjects, a child's status was inherited from its father, ... The legal scholar Taunya Lovell Banks suggests the early cases in the colonies dealing with mixed-race children of ethnic Africans and English had more to do with determining "subjecthood" than with modern ideas about race or citizenship. English colonists were considered subjects of the Crown, but Africans and others, in England and the colonies at the time, were considered foreigners and not eligible for the rights of subjects. The fact that they were not Christians also caused the Africans to be classified as foreigners. The colonies had no process for naturalizing them as subjects, and citizenship had not been fully defined. As mentioned in passing, "citizenship" was a relatively novel concept. The Founders' ideas of "citizenship" grew out of their ideas of being English subjects, possessing rights. As "natural born subjecthood" was inherited from the father, so too with "natural born citizenship" (which, by the way, was an idea being discussed by the intelligensia of the time, so it's not like we don't have records of how the term was understood (*) in 1787). (*) And really, the common insinuation that as the Constitution doesn't define "natural born citizen", therefore it doesn't mean anything in particular, or that its meaning is too vague to guide us in understanding it today, is insulting, both to us and to the Founders. Also, I'd suggest looking at the text of the Naturalization Act of 1790 for a clue as to their mindset with respect to citizenship being inherited via the father. Specifically, I mean this: "And the children of citizens of the United States that may be born beyond Sea, or out of the limits of the United States, shall be considered as natural born Citizens: Provided, that the right of citizenship shall not descend to persons whose fathers have never been resident in the United States:"
The Naturalization Act of 1795, which repealed and replaced the Naturalization Act of 1790, makes no use of the term "natural born citizen". At the same time, *reading* the Naturalization Act of 1795 leads one to suspect that though it begins by speaking of a "any alien, being a free white person, may be admitted to become a citizen of the United States", what it really means by "person" is "man". For, one of the conditions for a grant of citizenship is that the "person" satisfy the court that "he has behaved as a man of a good moral character". I don't have the name handy, but there is an old Supreme Court decision which discuss, almost in passing, the meaning/understanding of "natural born citizen" at the time of the Constitutional Convention. I also recall one with some discussion of the rights of citizenship conferring through the father. Here is something else you may find informative (even though it isn't specifically about distinguishing "natural born citizenship" from any other) U.S. Citizenship Acquired by Birth Abroad -- "Prior to May 24, 1934, children born outside the limits and jurisdiction of the United States, whose fathers were United States citizens, acquired U.S. citizenship at birth unless the father had never "resided" in the United States prior to the child's birth. In ... Prior to May 24, 1934, U.S. citizen mothers were not permitted to transmit U.S. citizenship to their children born abroad. ..."
As stated above, Americans face an existential threat to our form of government and the rights it is meant to guarantee. However, this is about more than America, it is about the future of human liberty and human rights. I have avail information about the best new residential project called is Godrej Summit located in Sohna of Gugaon. Your blog always share very knowledgeable news .I also just want to share residential investment in Gaur Yamuna City 32nd Park View that will make your life enjoyable and more comfortable. Excellent customer service! S.A. PAT Testing Family runs. Was trying to hire people to do home inspections and wanted to be thorough and signed up for a mold test, but it nearly doubled the overall inspection costs. Talked with John already shifted his schedule around to accommodate me on about 24 hr notices….PAT Testing Llanelli called me and I told him my situation. However, they are powerful enough to cleanse the water in aquariums hosting house fry and other similar tiny species like shrimp. Air driven filters deliver biological filtration and some are designed to offer chemical filtration as well at www.fishtanksetups.com …. This written piece gives fastidious understanding yet. Whether somebody pursuit of his vital thing, hence he or she desires to be accessible that at length, hence that thing is maintained over here. Debt consolidation reduction Loans form is really a easy and quick process and it is the initial step in order to trying to get the best unsecured loan suited to you. When posted your personal United kingdom reliant Debt consolidation reduction Brian Talbot Mortgage will receive immediate attention and you will be knowledgeable of the items occurs subsequent together with your unguaranteed application for the loan. Excellent service and very knowledgeable in their field. Dealing with Web Motion Media step-by-step has been a great experience. I highly recommend his solutions to anybody searching for an Expert Search engine optimization working as a consultant; Many thanks! Understand the effort as well as great communication http://web-motion.co.uk/page-seo-guide-portsmouth-consultant. Social Media Management London operates the go-to agency if you need help with advertising. Their capability to pay attention carefully while you are talking about your present issue and come track of an answer that will help you succeed is among the factors which makes his company much better than other people, Highly recommend him or her if you need help with advertising. college drinking benefits about these kinds of situations need to be dealt with the human resources division; the particular responsibilities usually might fall under which division inside of an organization. They should give them the self-confidence to be dealt with instead of disciplined, and all instances need to be dealt with care as well as confidence. Madame Bridal makes the longtime customer in my wife. We were around 2-3 weeks ago for an occasion. The client support was excellent; they showed my spouse their own selection as well as helped her pick out a gorgeous dark number. The lady appeared amazing, much more than usual…. fishing tackle can last for hours, and it’s not likely that you’ll need to depart your own angling gap to locate a control of the 10-inch edge; the X is actually significantly weightier compare to another electric options. It’s still not as large as gasoline or propane augers are, if you simply want a light-weight auger, this might not be the selection for you. The continued development of muscle tissue in the gym will keep your own hormone manufacturing, and also at the same time frame, to the next stage of the in your bloodstream will make it simpler to develop much more muscle tissue. Prolactin reduces both your libido and your testosterone amounts, only for a while of time http://comprartestosterone.es. Is straightforward in order to travel as well as travel filming for youtube. This particular drone is simple to fix also it can endure the fare amount of difficult landings. I really like the game-style type control by having an integrated 5 inch touchscreen, no requirement for mobile phones or pills. With this particular item Cb microphone, you are like a grasp underneath the continuous assistance of the taking care of slave. The item gives you just about all. It is meant to give you the much better of your hard earned cash also it certain may. With the items 6-conductor dark coiled flex cord in addition to 2-position temporary slide switch, it provides the very best buyer experience and luxury you could ever get. I hope you will share such type of impressive contents again with us so that we can utilize it and get more advantage. At Jonckers many of us constantly try to make the localization procedure simpler and much more effective, supplying an extensive selection of systems in addition to choices. Through immediate quotes in order to automated web site improvements as well as device meaning, we've solutions that suit the needs you have http://www.jonckers.com/. CB microphones are designed for close to speaking portable software. Using the product within your hands, your own CB stereo connected and ready to talk, you are up for a fairly sweet encounter. Also, it's good for CB, beginner stereo system, as well as SSB communications. This is very informative post I found here through Google search. Economic is growing very fast today, spectacular in developing country, and many problems need to resolve such as environment, air and water quality, education, rich and poor equals. We need to have good governments and good politic for that.